Inclusions: The services of an expert licensed Paris tour guide and taxes. 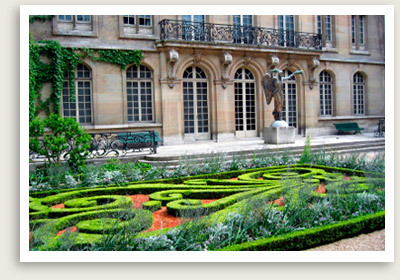 Customize this private Marais tour to include a museum of your choice. Let Well Arranged Travel take you on a private Walking Tour of the Paris’ Marais district. The Marais district is one of the most sophisticated neighborhoods in Paris. This Marais tour shows its intriguing history, from swampland to royal playground. The area fell into disrepair after the French Revolution, and lay dormant until its revival as a hub for arts and culture in the 1960s. Today, the Marais is a great place to see well-preserved architecture from Medieval and Renaissance times, as well as its flamboyant private residences, known as hôtels. But beyond its historical character, here you’ll also find the latest trends in art and fashion. Your private Marais tour will include such sites as Church St. Paul, Place des Vosges (Victor Hugo’s home, Hotel de Sully), Hotel Salé (Picasso Museum), Hotel Carnavalet (Museum of Parisian history), Hotel de Soubise (French Archives), and much more. You will also saunter down the Jewish Quarter’s Rue des Rosiers, which is one of the most well-known streets in the Marais district.